Derek Bentham, 46, of Smithwood Avenue, Hindley, was produced from custody at Wigan and Leigh Magistrates Court, accused of murdering Lee Christy. Mr Christy, 45, died two days after being assaulted at The Bear's Paw pub in Hindley. 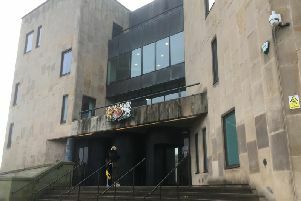 Bentham was remanded in custody and his case was sent to Manchester Crown Court, where he will appear in the dock on Monday.